I have had a lot of fun so far partcipating in the Fox and Flats Style Dare! This is a chance to try new clothing styles and think outside the sqaure. Here is a recap of days 1-7. Neck Party- three necklace strands to bling things up a bit. 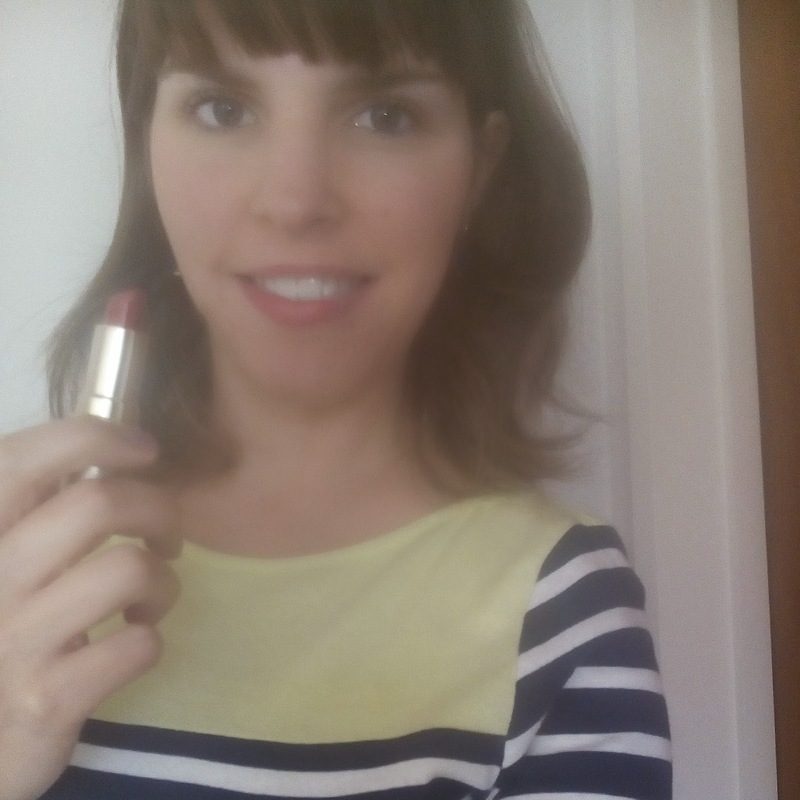 Red Lipstick- my favourite Avon Colour, Ruby In Gold. Tuck it! 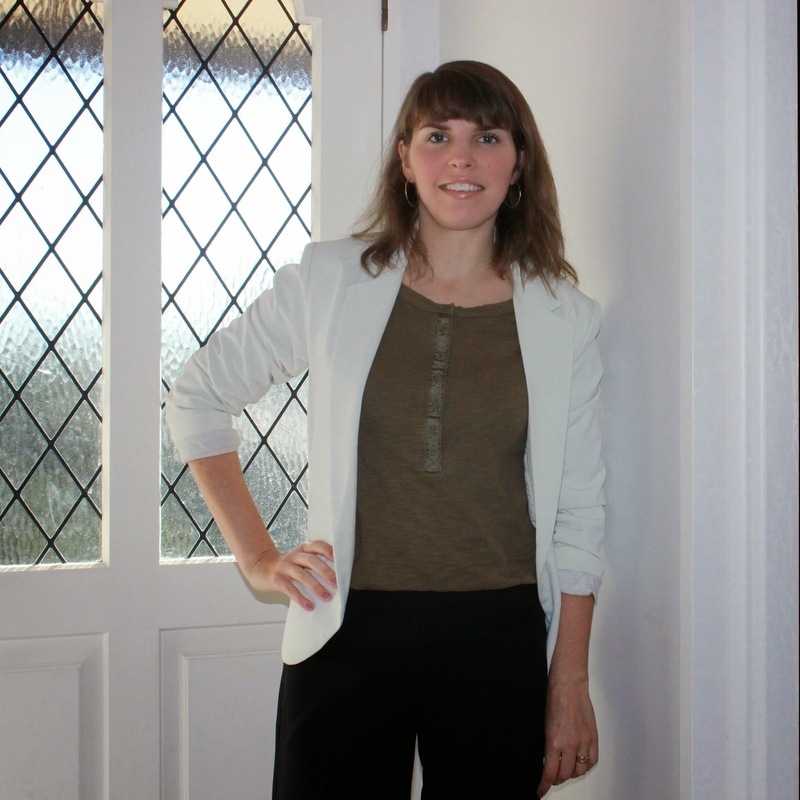 A Henley sub top tucked into my black dress pants with a blazer. Americana- Red, White and Blue! I even got in stars (star earrings) and stripes. 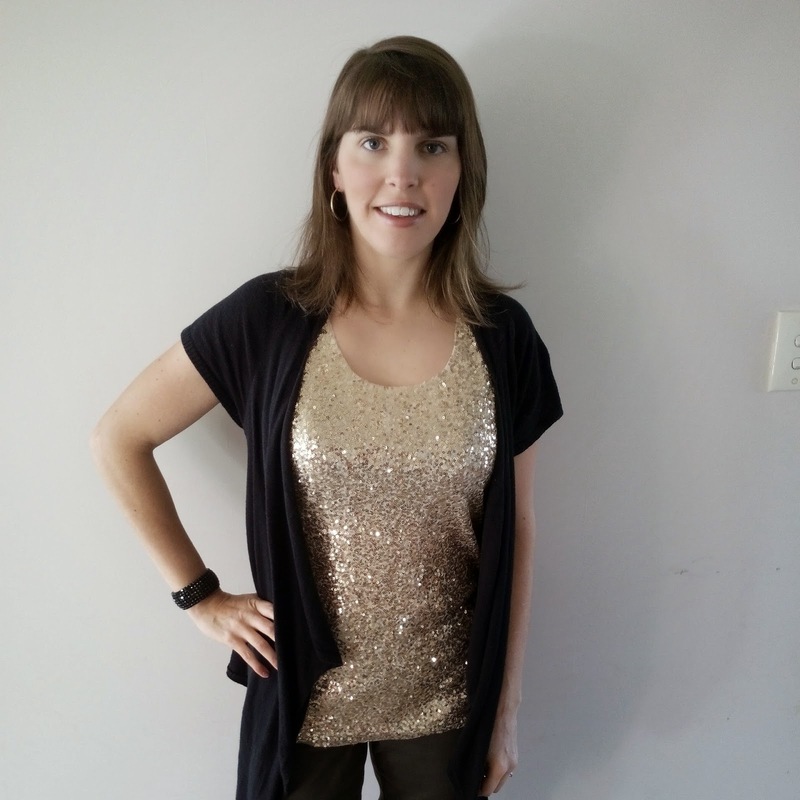 Sparkles- I went full on sequins here with a gold sequined top, so kept the rest of my outfit neutral with khaki green jeggings and a black waterfall cardigan. I also had a sparkly cuff. 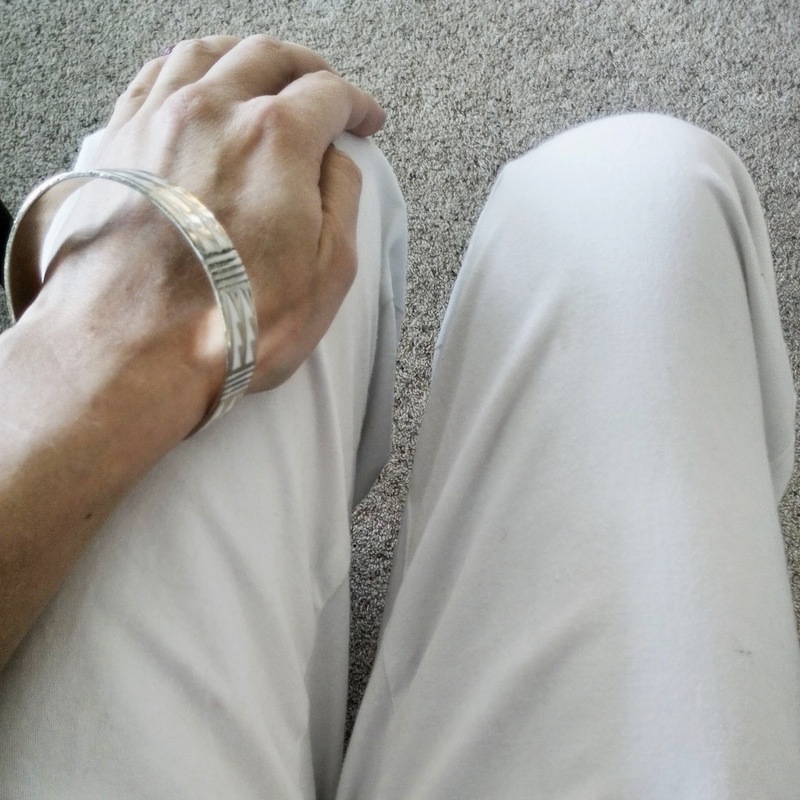 It's All White- I wore a navy and white striped jersey with white pants and a white bangle. 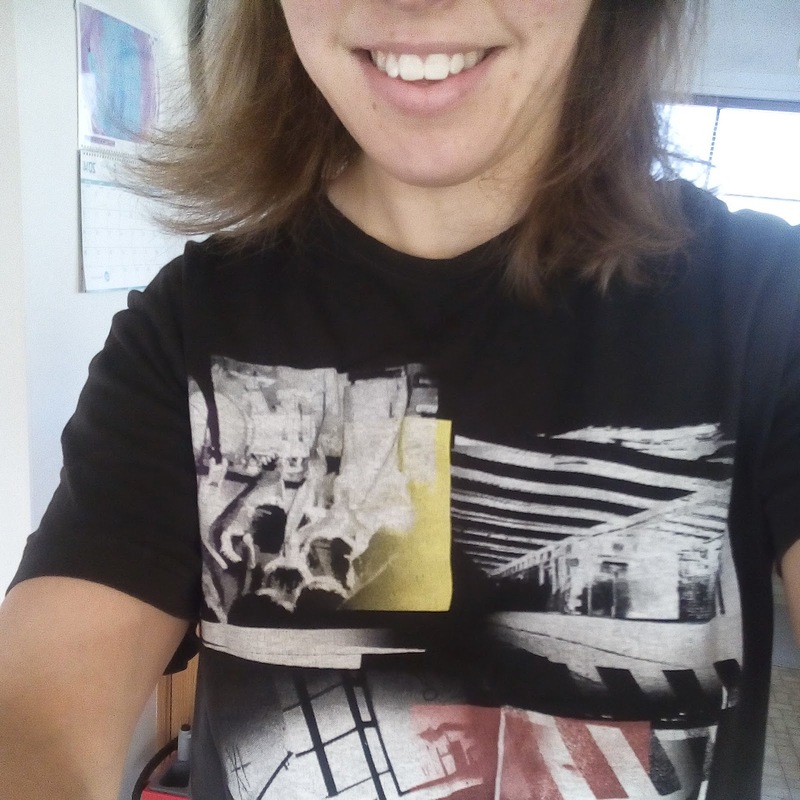 His- I borrowed my husband's shirt for the morning while I did my workout. Lucas said "you're wearing Dad's shirt, I'm telling!" 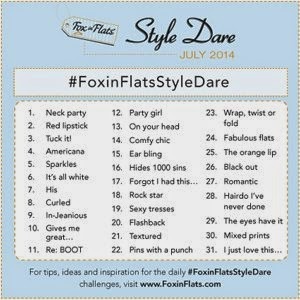 It's not too late to join in via Facebook or Instagram using the hashtag #FoxinFlatsStyleDare. 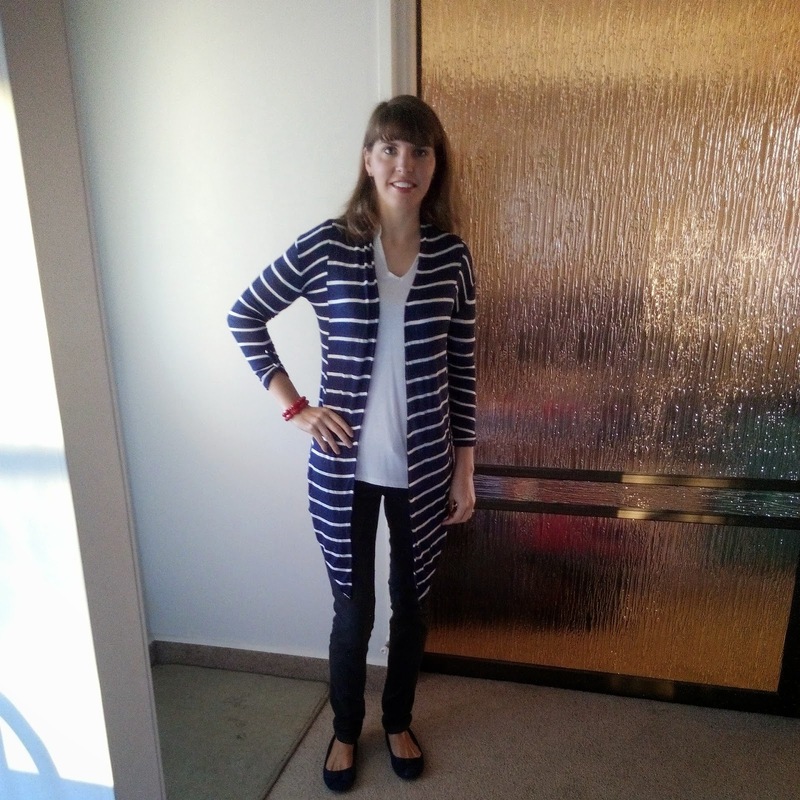 Joining in with Wardrobe Wednesday and What Wives Wear. Hmmm, do we already follow each other on GFC and Bloglovin. I will be following you on both and I hope you do the same so we can support one-another. 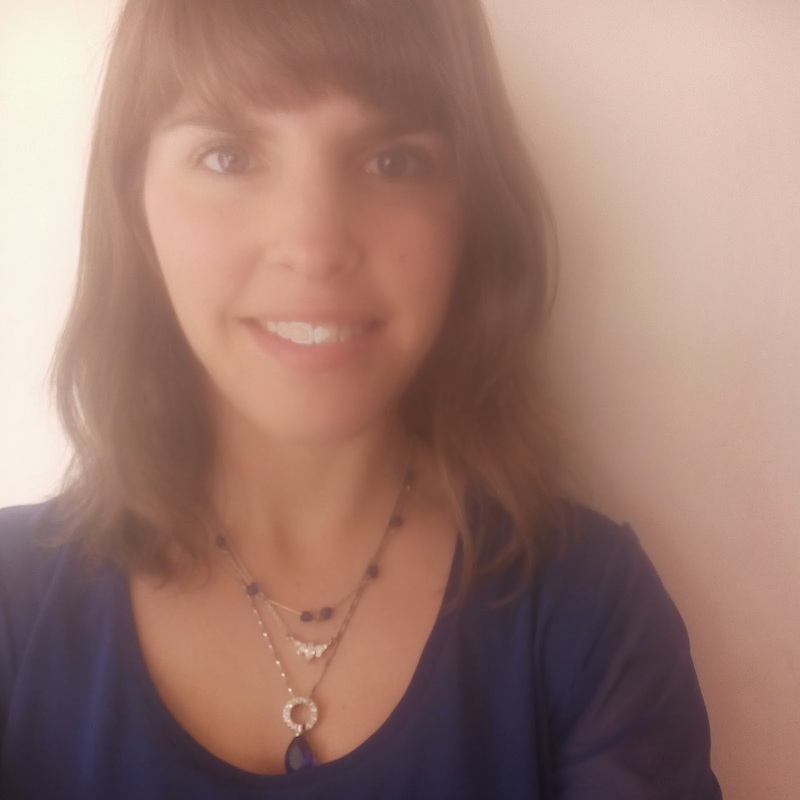 I love how you have layered those necklaces, I need to try that... or buy some necklaces that will layer better! What a fun challenge! 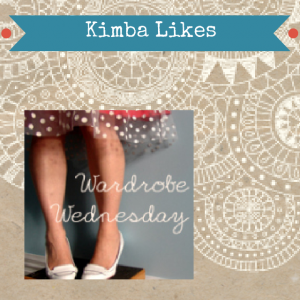 Thanks for linking up at What Wives Wear!